PAUL SIMON: STILL CRAZY AFTER ALL THESE YEARS: 1975: 4 1/2 STARS OUT OF 5 STARS: Won the Grammy for Best Album- in his acceptance speech he thanked Stevie Wonder for not releasing an album that year. Wonder had won the previous two years and would release an album in 1976 and win another one. This is the most noted of his 70s albums maybe because it won the Grammy? I think There Goes Rhymin’ Simon is better. Anyhow. This album went to #1, had four Top 40 singles- Fifty Ways To Leave Your Love #1, My Little Town [with Artie} #9, Gone At Last #23 and Still Crazy After All These Years #40. Have A Good Time, I Do It For Your Love and Night Game are other favorites along with the singles… I am enjoying the new Paul Simon book by the way. Still early into it though Simon and Garfunkel’s first album has just been released. Robert Hilburn is a great writer- I’d recommend his book on Johnny Cash. Most excellent. THE ROLLING STONES: TATTOO YOU: 1981: 4 1/2 STARS OUT OF 5 STARS: This album consisted of mostly outtakes from previous recording sessions during the 1970’s- oddly it really worked well. Some of these songs went back as far as 1972. The last Rolling Stones album to go to #1. Favorite cuts- Start Me Up- a great album opener and of course concert opener. Hang Fire. Little T&A, Heaven, Waiting On A Friend. Three went Top 20 in the US- Start Me Up #2, Waiting On A Friend #13 and Hang Fire #20. CROWDED HOUSE: INTRIGUER: 2010: 4 STARS OUT OF 5 STARS: Neil Finn has been one of my favorite songwriters of the past few decades. I just wish he’d get Crowded House together more often- six albums in thirty-two years isn’t nearly enough. Finn is at his best when it’s Crowded House. A friend and I saw them in Buffalo on this tour for $10 and we were right up front. I never spent a better $10. This album took a number of spins to really hit home. Favorite tunes- Saturday Sun, Archer’s Arrows, Amsterdam, Either Side Of The World, Twice If You’re Lucky. 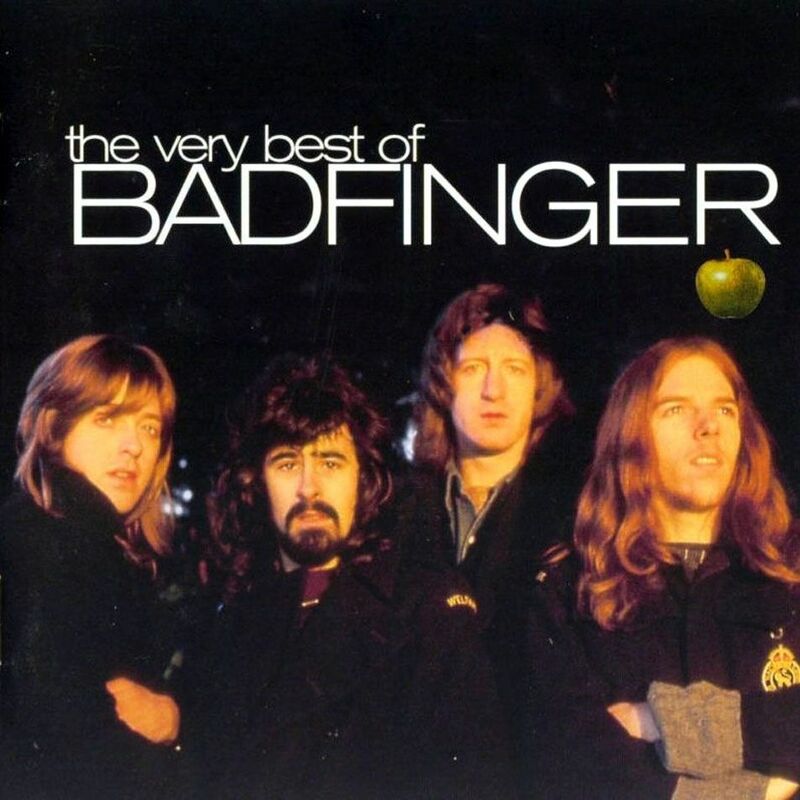 BADFINGER: THE VERY BEST OF BADFINGER: 2000: 5 STARS OUT OF 5 STARS: 19 songs from the Badfinger catalog – a group that has for the most part been sadly forgotten today. During their heyday in the early to mid-70’s they had three American hits- Come And Get It- #4, No Matter What #5 and Day After Day #10. Incredibly Baby Blue a great pop single only made it to #73 on the charts. Baby Blue some of you may recall was used at the end of the final episode of Breaking Bad. The groups history is tragic with their principal members Peter Ham and Tom Evans both hanging themselves. This group should have been bigger than they were who knows why it didn’t work out. I remember the first time I heard No Matter What- I thought it was a McCartney song. Their song Without You was a #1 hit for Harry Nilsson. Other favorites on this-Rock Of All Ages, Maybe Tomorrow, I’ll Be The One, It’s Over, Dennis, Lonely You and Love Time. They deserved a better fate. I was glad to see Breaking Bad play Baby Blue which gave them some attention. Also today listened to the replay of America Top 40 from May 15, 1971- an interesting week- some great songs – Brown Sugar and What’s Going On- were in the top 40 and then you have the trash- Donnie Osmond and The Partridge Family. It all balances out I guess. Also listened to the three hours this week of The Neon Beat- on Radio George. Badfinger – Favorites… Midnight Caller and Baby Blue…I cannot believe Baby Blue didn’t chart higher than that. For some reason I had thought too that Baby Blue was at least a moderate size hit. odd but as you mentioned in your piece on them- a similar power pop type group also from that time didn’t get as big as they should have either- the mighty- Big Star. Must have been bad timing. I really like Neil Finn’s newest solo album – he plays piano on it, so it’s quite different from his other stuff. Thanks for reminding me- I still haven’t gotten it!